Receiving an order from a retailer is exciting and important, but the purchase order is just beginning. The truth is it’s just as important, if not more so, that the retailer is then able to actually sell the products they buy from you to their customers. Since in most cases, you cannot be on the floor selling the product yourself, it is key that you set your retailers up for success. Use the below strategies to ensure you’re helping your retailer drive sell-through. Remember: the higher the sell-through, the more likely the retailer is to order more from you in the future. It may seem obvious, but it is integral that you truly understand each of your accounts. Where are they located? How many stores do they have? What other brands do they carry? Who is their customer? How old is their customer? What is their average price point? The more you know about your retailer, the more specific product suggestions you’ll be able to offer. If the retailer is an existing customer, look at what they have bought in the past. Ask them what styles sold best for them. What didn’t move quite as well? 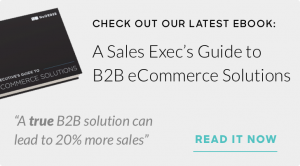 You can also find this data directly in your B2B platform. Understanding all of the above will allow you to create a curated collection, highlighting styles that are most likely to sell well for that specific retailer. Make sure that you are using personalized linesheets, leaving out products that are not relevant to their end customer, and showing the retailer that you understand their business. Although you are an expert on your brand, you must remember that the buyer and their sales staff are exposed to many different brands. Providing their teams with information about the brand and the line will allow them to better sell the product. You should be giving information on fabric and fit, as well as inspiration behind the collection and the brand story. Sales staff are much more likely to recommend a product that they feel connected with and knowledgeable about. 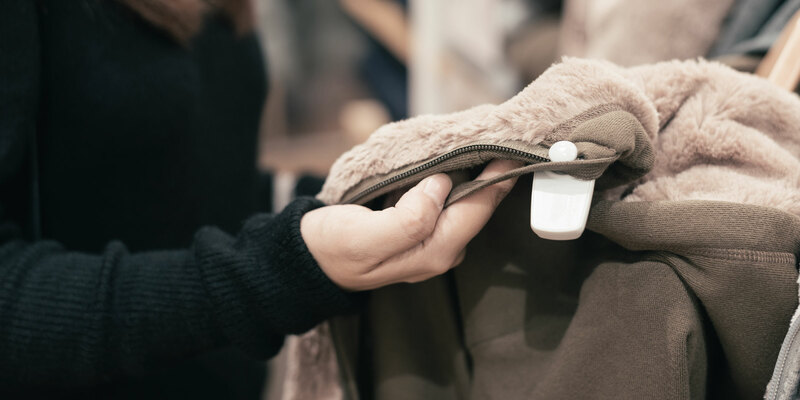 When working with larger retailers that carry hundreds of brands, such a department stores, it can be hard to be noticed by the end customer. You can and should discuss partnering with the retailer on digital co-ops or social media programs that highlight your brand and/or product and drive customers to that retailer to make the purchase. This can be done through branded or product focused remarketing ads or Instagram posts and stories, to name a few. Using social media tools such as the “swipe up” feature on Instagram stories or shopping ads on Facebook will allow the shopper to click directly to the product page, thus increasing change of conversion. Talk to the retailer about what types of advertisements work best for them. Make sure the target end customer is seeing your brand and knows that they can shop for it with this retailer. In some cases, it may make sense to partner with an influencer or group of influencers that are relevant to the retailer to increase the visibility. Again, this is where knowing the retailer is so important. You want to partner with an influencer that makes sense for the specific retailer and their end customer. Promotions have long been a part of retail, but using promotions creatively can have a huge effect on sell-through. Beyond the seasonal markdowns, think about running a limited time promotion with a retailer, focused on specific styles or groups of styles. This can be done through a customer facing promo code online or a more traditional limited time flash sale. The more exclusive or time-sensitive the promotion is, the more inclined the retailer will be to engage. Establishing a relationship with the retailer that extends beyond the purchase order can make a huge difference in your overall sales numbers. With high sell-through, you are more likely to receive in season replenishment orders as well as larger future orders. 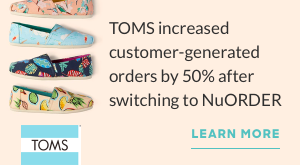 To learn how NuORDER can help you drive sell-through with your retailers, request a demo or reach out to your account manager today.